Assistant to the Presidency at Colombian Association of Insurance Companies FASECOLDA (1970/1973), General Manager at insurance company Seguros Caribe S.A. (1973/1989), CEO at reinsurance company Reaseguradora Hemisférica (1985), CEO at Seguros Caribe S.A. (1989/1993), President of the Managing Board at Seguros Caribe S.A. (1993/1995), General Manager and Cofounder of Trust S.A, (1995/today), General Manager and Cofounder of Escallon Morales & Asociados (2000/today). 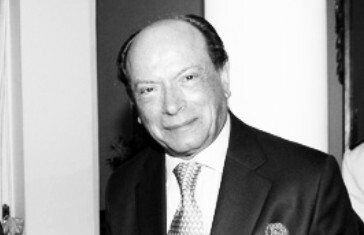 Member of several Boards of Directors at Colombian and international companies (Telecom, Drummond, Hermann Miller, Imaginarium de Colombia, Seguros Caribe, Extebandes, Telecel, Colomsat, Mapfre, Reaseguradora Hemisférica), Chair at Universidad Javeriana for more than 25 years. Lawyer, Universidad Javeriana, Bogotá and admission as Lawyer at the Colombian Bar Association. Master’s degree in socioeconomic sciences at Universidad Javeriana, Bogotá. Executive training “Management and Leadership” at Instituto de Alta Dirección Empresarial Inalde, Universidad de la Sabana, Bogotá. Arbitrator of high value litigations at Arbitration Center of Cámara Comercio Bogotá, International Bar Asociation IBA. Colombian Association of Insurance Law, Lawyer Association of Javeriana University, Advisor Asociación Hombres de Negocios Colombo Española (Spanish Colombian Trade Association).